Republican. 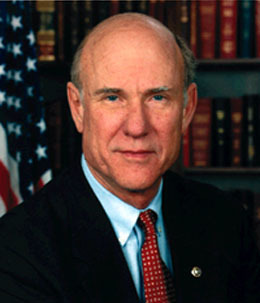 U.S. Representative from Kansas, 1st District, 1981-97, and at the end, Chairman of the House Agriculture Committee. U.S. Senator from Kansas 1997 to present, replacing Nancy Kassebaum.